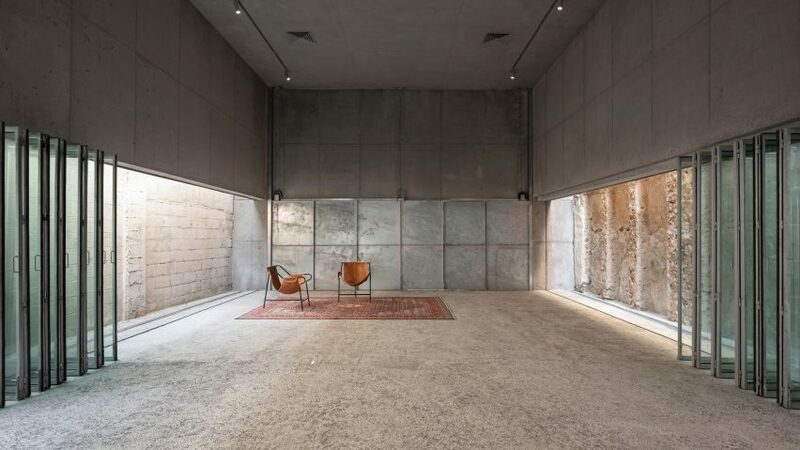 Leopold Banchini Architects gave the House for Architectural Heritage in Muharraq, Bahrain, retractable glass walls that open it up to its surroundings. 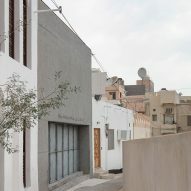 Architects Noura Al Sayeh Holtrop and Leopold Banchini designed the architectural archive and exhibition space for an empty site in the city of Muharraq, known for its dense urban fabric and traditional Bahraini houses. 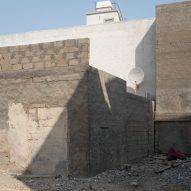 It provides a permanent home for the archives of architect John Yarwood, who documented and surveyed Muharraq's architectural heritage during the 1980s. 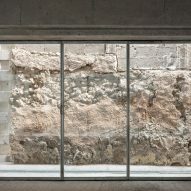 Rather than imitating the local vernacular, the project team decided to introduce a contemporary architectural expression that reflects the city's constant evolution. 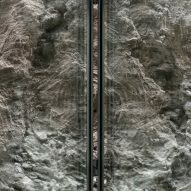 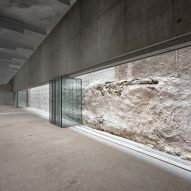 The building is constructed from reinforced concrete, with a 26-metre beam spanning the width of the site and linking the streets at either end. 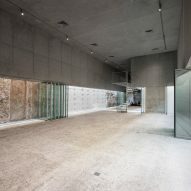 This structural solution allows sliding doors incorporated into the end facades to be raised into the void formed by the beam, resulting in an open space that functions as a public passage. 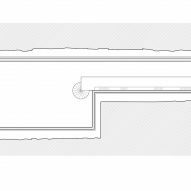 Its side elevations also incorporate glazed surfaces that can be completely opened up by retracting folding doors that extend across the whole length. 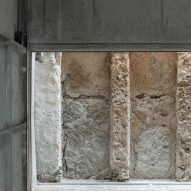 "The project is conceived as a beam structure that frames the existing adjacent walls of the two neighbouring buildings, serving as a showcase for the architectural heritage of the city, the old as well as the new," the architects said in their statement. 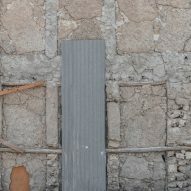 The new building's reinforced concrete surfaces contrast with the coral stone and blockwork of its neighbours. 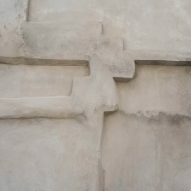 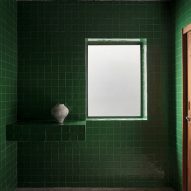 Existing walls are painted in a thin layer of lime wash that creates a consistent feel inside the exhibition space and is representative of the way local buildings are traditionally finished. 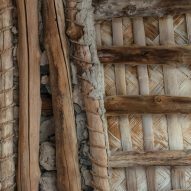 The project was commissioned by the Shaikh Ebrahim Centre for Culture & Research, an NGO focusing on the preservation of Bahrain's traditional buildings and promoting local culture. 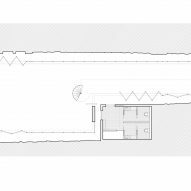 Alongside a space for housing and displaying Yarwood's archive, the centre includes a small architecture library and exhibition area. 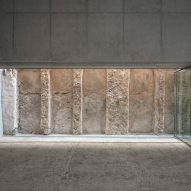 The project showcases the architecture of Muharraq with a design that invites visitors step in off the streets and presents the facades of its neighbours as part of the exhibit. 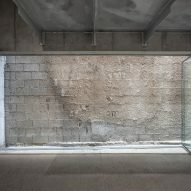 Its design presents a tangible expression of the area's architectural evolution, providing a cultural space that actively participates in the local landscape. 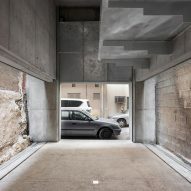 "By providing a space that can be completely opened on to the streets, in a neighbourhood that houses communities that often feel excluded, the project attempts to provide a new exhibition typology," the architects added. 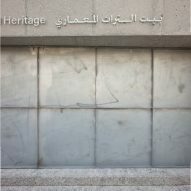 The building's narrow plot is flanked on one side by the Abdullah Al Zayed House for Press Heritage, which also belongs to the Shaikh Ebrahim Centre and had been previously restored by the organisation. 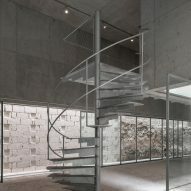 Yarwood's archival documents are stored and displayed alongside a small library on a mezzanine level reached by a spiral staircase. 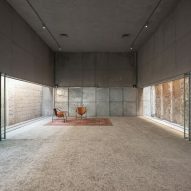 This space is suspended from the concrete beam and its elevated position away from the windows protects it from direct sunlight. 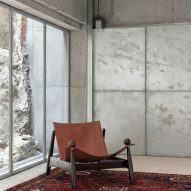 Leopold Banchini Architects has also built a house on stilts in Switzerland, and a system of rooms and furniture that folds into the floor of the Centre Pompidou.